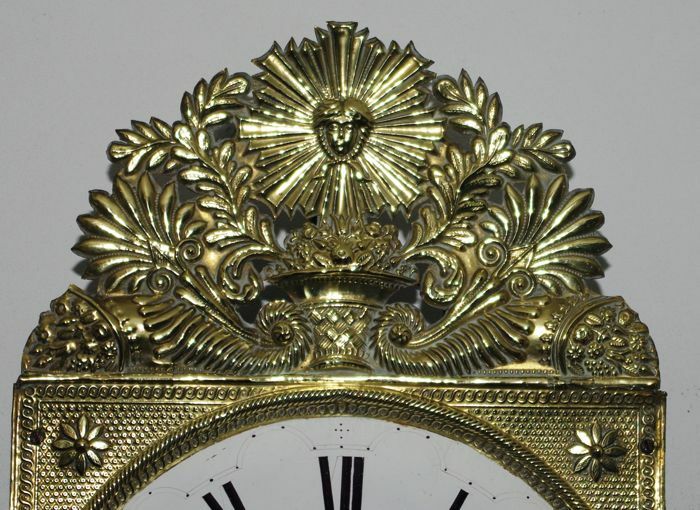 Beautiful, neat French comtoise clock with an eight-day verge escapement movement. Clock is in good working condition and runs and strikes as it should. 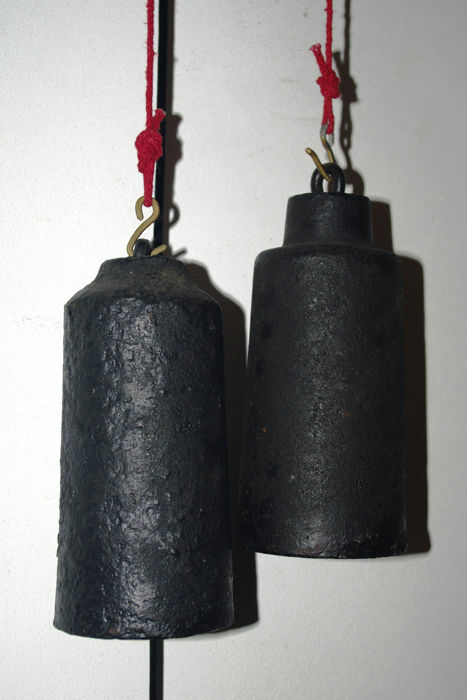 This comtoise is a 'back-runner', that is to say that the pendulum hangs behind the weights, these are the earliest comtoises with pressed feuille. 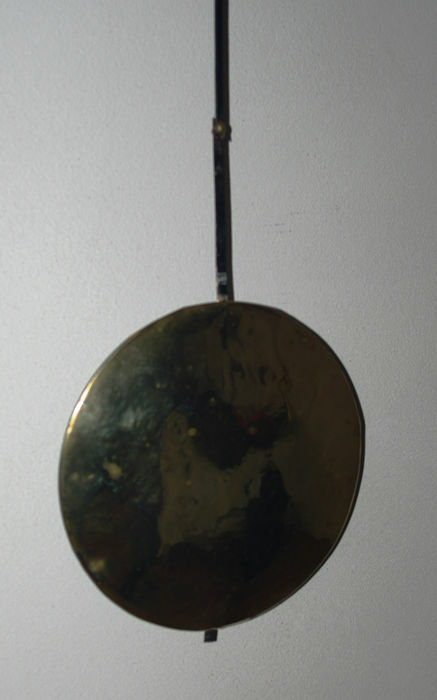 This comtoise clock is one of the first with a feuille instead of a casting. The feuille is made out of three parts (as it should). Sun decoration with a cornucopia on both sides. The original dial is pristine, except for minor damage to the 5 and a few hairline cracks. 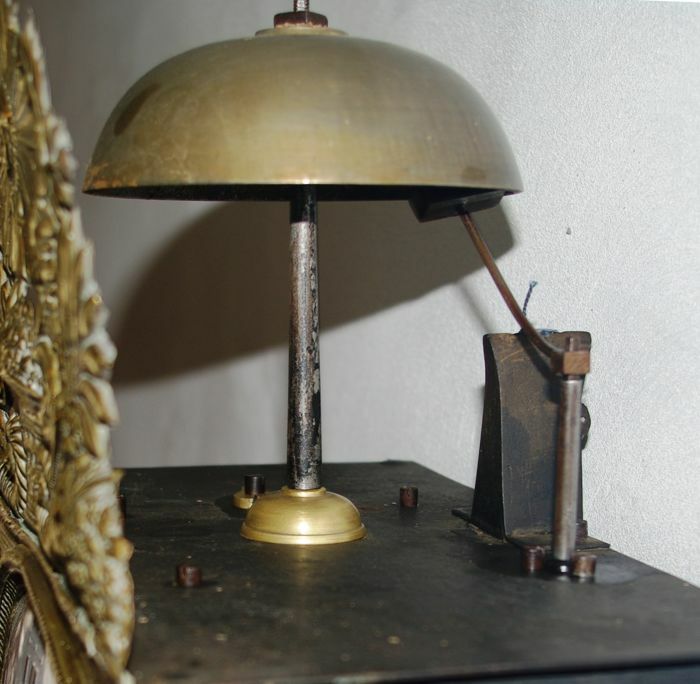 The clock is complete and original with old sand-cast weights and old pendulum. The original hand-sawed brass wagon wheel hands and wooden winding reels. 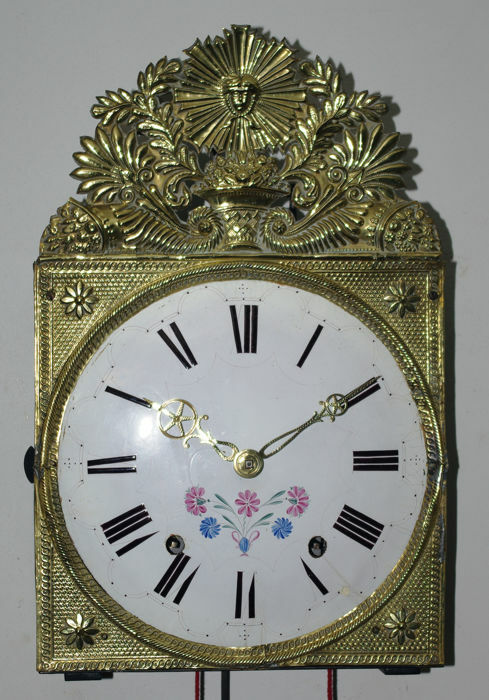 This is a rare and original clock that is not found often any more. This lot will be sent well-packaged and by registered post, or it can be picked up in Almelo, the Netherlands.